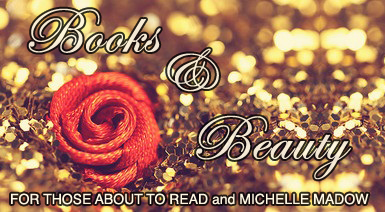 Books & Beauty is a weekly feature started by myself and Tiffany from For Those About to Read so we can share the books and beauty products we got this week! If you're a book blogger and are interested in receiving an e-ARC of Timeless to review when I send them out at the end of the year, please sign up here to reserve your guaranteed copy! Also, remember to let me know if "Faction Inspired Makeup Tutorials" are something you're interested in! I recorded my first tutorial today, but I had a recording fail, so I'm going to try again tomorrow! I got Embrace last week, and can't wait to read it! I love angel stories, lol! I have to say, if we were friends, you would disown me, lol! I don't know anything about makeup and only have one blush, one pressed powder and 2 lipglosses - what kind of girly-girl am I?! But I am truly enjoying seeing the things that you are getting and hope to expand my makeup case soon, thanks! I seriously need to read Embrace. I have a copy that has been sitting for ages, just waiting. Poor thing. Bloody little secrets sounds interesting great mail primer potion and all. Want to see what i got in my mailbox then click on my name. You are too awesome! I would LOVE to see your Faction Themed Makeup tutorials! Especially with Amity, of course ;) You could have some wild Red and Yellow eye shadow designs going on. I love funky makeup styles! By the way, I adore the Urban Decay Eyeshadow Primer Potion wand! It was the ONLY one that I would use on all of my clients. They have made it even better of the last couple of years and it lasts longer then it ever did before. The only thing is, is if you have oily skin or live in a warmer climate where it gets humid often, it doesn't last as long as it should and will crease easier. But! It is still the best one on the market, hands down. I hope you love it!! I live in South Florida where it's hot & humid so my makeup melts if I'm outside for too long, but I'm super excited for the primer! i can't find the milk pencil anywhere! i guess i will have to order it online too! Sweet Venom sounds really good. I really like the idea of doing makeup tutorials for the factions. Happy reading! I have Bloody Little Secrets and Turned and I can't wait to read them because they sound so good. I also cannot wait to read Insurgent hopefully I'll have it by the end of next month! I hope you enjoy everything you got this week. Here's my IMM! Insurgent! I'm reading it now and it rocks! Great haul, muffin! OMG how I love NYX! Great haul this week!